With only minimal conversion work, a standard 6-metre shipping container makes an instant garage that’s secure, comparatively inexpensive and easy to transport. This type of garage is suitable not just for cars, but for all kinds of vehicles, from motorbikes to farm equipment, like tractors. 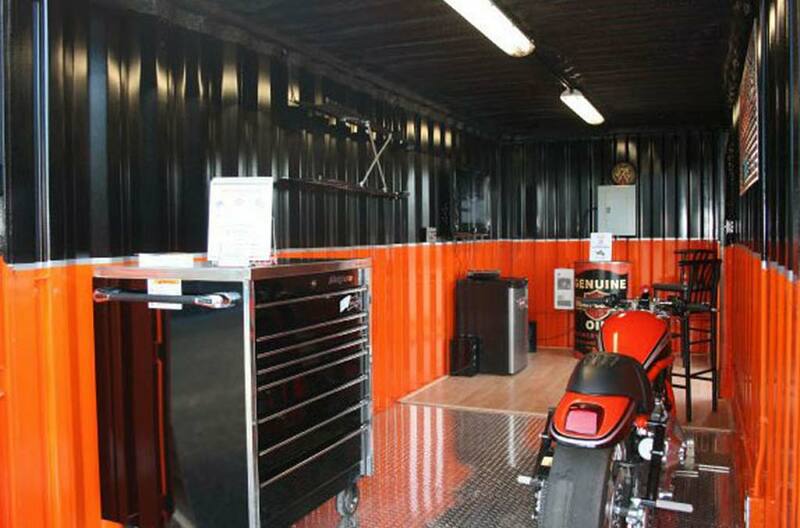 A single container can be used as an instant garage on any flat, stable surface. 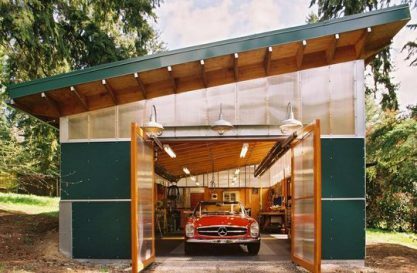 It’s also possible to create a more spacious garage, featuring two or more cargo containers as integrated structural components. Another alternative is to use containers as side and rear storage walls, and to erect a connecting roof or screen to create a covered parking area. 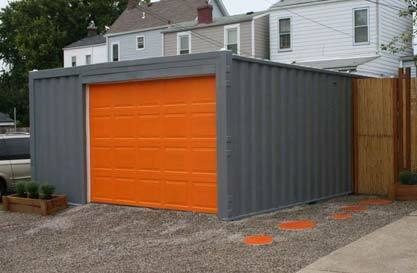 But are containers really practical as instant garages? Here we consider some of the pros and cons. 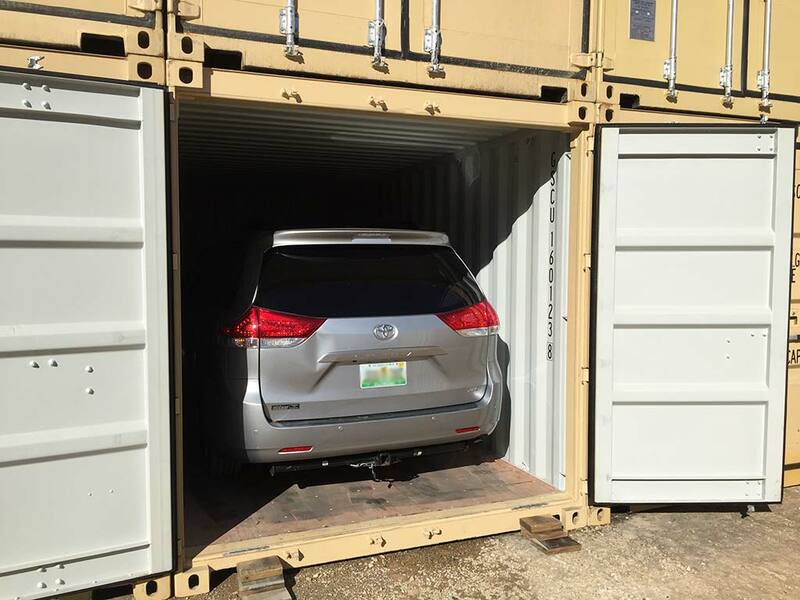 Shipping containers, also called cargo containers, are available in two main standard sizes – 20-foot containers (measuring roughly 6 metres by 2.4 metres) or 40-foot containers (measuring roughly 12 metres by 2.4 metres). 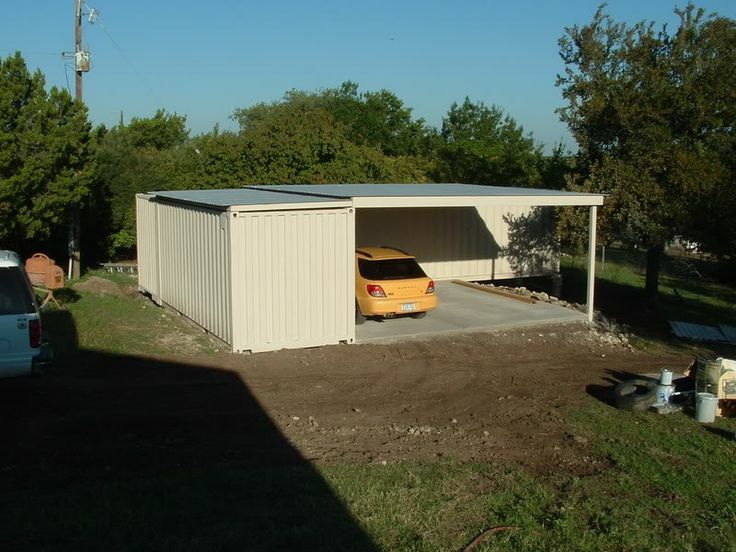 These containers have several features that make them suitable as instant container garages. Containers are designed specifically to be portable. You can transport a container garage and place it just about anywhere. This means you can easily add one or more garages to space available on a residential plot, a work site, factory premises or a convenient area on a farm. A container is cheaper than building a brick and mortar garage from scratch. A used container is the least expensive option, although for a sleeker look, a new container is recommended. 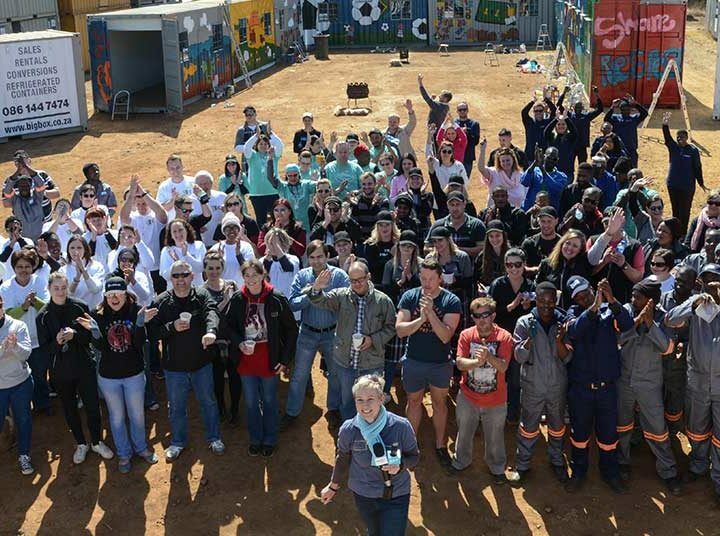 Either way, a container can easily be painted to blend with the rest of your premises. Shipping containers are made from strong, high-grade steel and fitted with robust locking systems. They are sealed units that are both weather- and tamper-proof. This makes them suitable for keeping vehicles and accessories safe, even in unguarded outdoor locations. Unlike traditional garages, which have to be erected brick by brick, container garages are available almost immediately. For a fancy garage design, you’ll have to get proper plans drawn up and the conversion work may take a little longer – but this is still faster than building from scratch. Also, you and your neighbours won’t be disrupted by work teams, noise, dust or building rubble. Typically, conversion work is completed offsite, with containers delivered in ready to use form. Container garages do have some pitfalls that it’s important to consider. Both 6- and 12-metre containers are roughly 2.4 metres wide. This is wide enough to accommodate a vehicle, but it’s much narrower than an average brick and mortar garage. There’s no extra space to store other items, and if you drive an SUV or a wider than average family car, it’s likely to be a very tight fit. It is possible to combine two or more containers into a single garage structure. However, this adds complexity and increases costs. 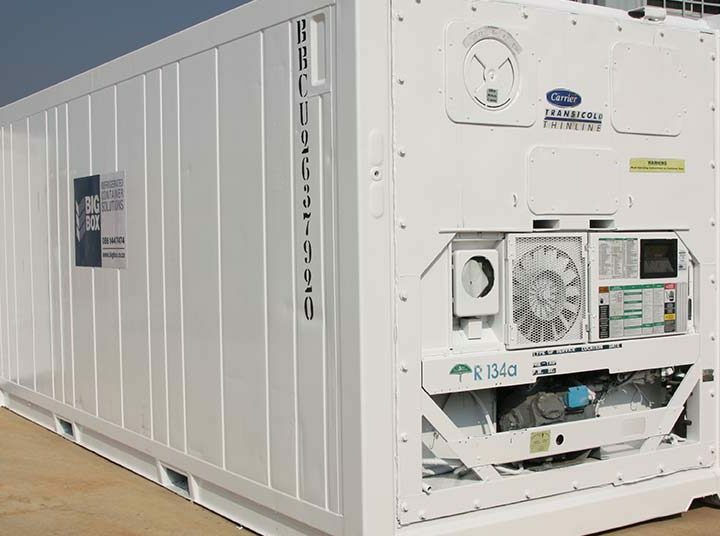 For human habitation, containers are best fitted with proper insulation and air conditioning. They can get very hot in the summer and cold in winter. It isn’t vital to insulate a garage, but be aware that in South Africa’s harsh climate, interior temperatures can get uncomfortable. Recycled containers – regardless of whether they’re repurposed and repainted – won’t always be suitable from an aesthetic perspective. Even new containers might not fit with the tone of a neighbourhood. This is less relevant on farms or factory plots than in residential areas. Containers can be incorporated into highly attractive garage structures. However, this requires proper planning and design work, and adds complexity to the conversion process – adding to overall costs. This type of container garage may still be cheaper than building a traditional garage from scratch, but it’s important to consider all likely requirements and costs. 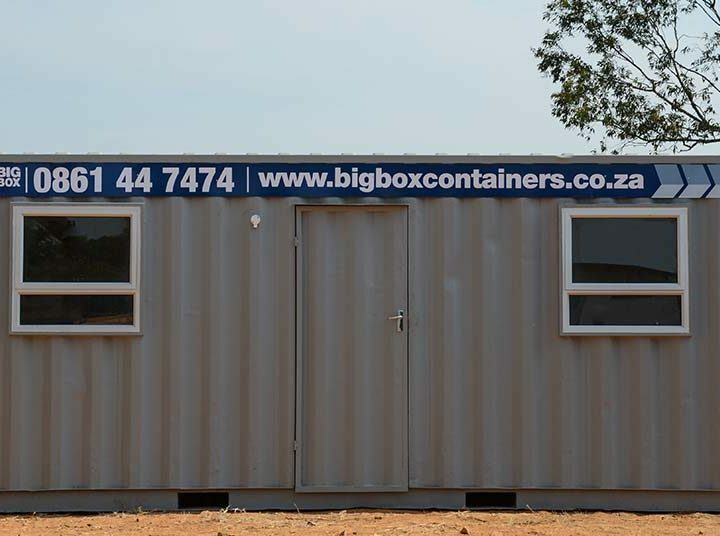 At Big Box Containers, we rent and sell both new and used shipping containers, ideal for a wide range of uses. We don’t sell ready-made container garages or handle the planning or design of complex structures. 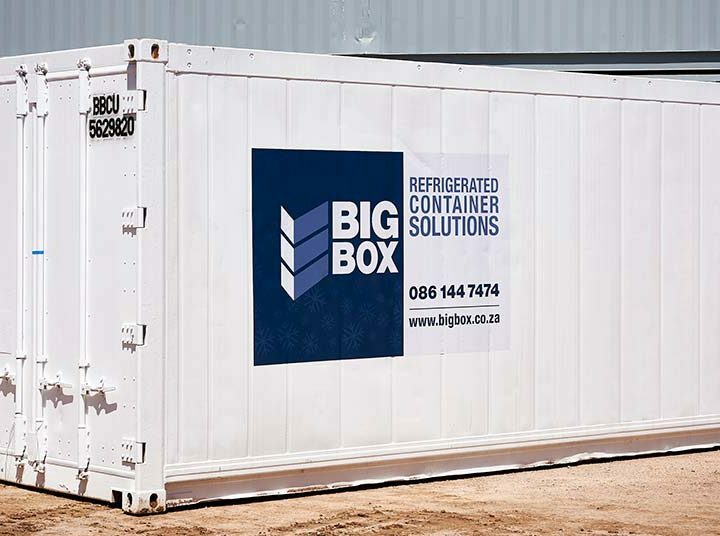 However, we have expertise in converting containers and are happy to work with other specialists – from architects to electricians – to meet clients’ exact specifications. Contact us for a quotation or to find out more about the containers we offer, and we’ll be happy to help.